Danielle Bassett, Eduardo D. Glandt Faculty Fellow and Associate Professor in theDepartment of Bioengineering, grew up in central Pennsylvania where she and her 10 siblings were homeschooled. Back then, Bassett had aspirations to become a professional pianist, a dream shattered by stress fractures in her arm at age 16. Now, Bassett is a renowned physicist and MacArthur fellow who has pushed the field of network science, which studies connections and interactions between parts of a whole, to new realms. 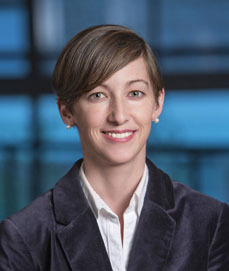 Bassett’s research focuses on brain function, including work on how brains of people with schizophrenia are organized, how brain communication changes with learning, and how the brain is able to switch between tasks. ““By 17, discouraged by her parents from attending college and disheartened at her loss of skill while away from the keys, she expected that responsibilities as a housewife and mother would soon eclipse any hopes of a career. ‘I wasn’t happy with that plan,’ she says. Continue reading about Bassett’s career path and evolving research interests at Science. Reposted from the Penn Engineering Medium blog. Media contact Evan Lerner. Heart disease is currently the leading cause of death in the United States, resulting in about 630,000 deaths every year according to the Center for Disease Control. 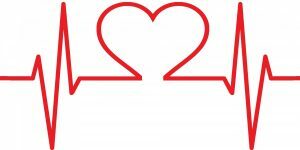 One of the most common side effects of heart disease is damage to blood vessels and cardiac tissue, which can ultimately lead to conditions like high blood pressure, arrhythmia, and even cardiac arrest. In serious cases of irreversible heart damage, often the only option for patients is a full heart transplant, and efforts to engineer vascularized cardiac tissue grafts have proved challenging in research so far. But researchers Ying Zheng, Ph.D., and Charles Murry, M.D., Ph.D., both of whom have joint appointments in Bioengineering at the University of Washington, have found success in using human microvascular grafts to create working blood vessels in vitro to treat infarcted rat hearts. The new heart muscle, developed from human embryonic stem cell-derived endothelial cells in petri dishes, was grown with a focus on not only being able to easily integrate it in vivo, but also in creating a patch of vasculature that closely mirrored that of the heart. In concentrating more on the mechanical aspects of the blood vessel network, Zheng and Murry were able to better restore normal blood flow to the damaged rat hearts after integration of the grafts. The study appears in a recent edition of Nature Communications. Another team of bioengineers, led by Michael Sacks, Ph.D. at the University of Texas at Austin, recently invented a software-based method for repairing mitral valves in the heart. Their work, published in the International Journal for Numerical Methods in Biomedical Engineering, uses computational modeling techniques to create a noninvasive way of simulating repairs to the mitral valve, which will allow for a better prediction of surgical procedures and postoperative side effects on a more patient-specific basis. This ability to know which treatment plan may be best-suited for a given patient is important especially for valve repair, as heart valves are notoriously difficult to model or image due to the complexity of their functions. But through the use of advanced technology in 3D echocardiography, Sacks and his team say that their new model is accurate enough to rely on in clinical settings. Any form of surgery is always a high risk procedure, as it is subject to a wide variety of sources of human error and irregularity, even with the best surgeons. Certainly, there should be a system in place to not only continually assess the knowledge of surgeons throughout their careers, but also to evaluate their practices and techniques during operation. Such an evaluation, however, would put patients at risk during the assessment of the surgeon. But now a team of researchers from Rensselaer Polytechnic Institute has developed a way of simulating colorectal surgical procedures using virtual reality technology. Suvranu De, Sc.D. — the J. Erik Jonsson ‘22 Distinguished Professor of Engineering and Head of the Department of Mechanical, Aerospace and Nuclear Engineering with joint appointments in Biomedical Engineering and Information Technology and Web Science —leads the project which incorporates both visual and tactile feedback for users to employ as a tool for both training and evaluating colorectal surgeons. While virtual reality simulators have been used for similar applications related to procedures like the colonoscopy, they have yet to be fully developed for open surgical procedures, because of the difficulties in creating a fully engaged and immersive environment. Nonetheless, De and his team hope that their work will lead to the creation of the first “Virtual Intelligent Preceptor,” which will allow for more advanced technological innovations in aspects of surgical education that have so far been difficult to standardize. Support for the project comes from the National Institute of Biomedical Imaging and Bioengineering (NBIB). As a network neuroscientist, Danielle Bassett, Ph.D., Eduardo D. Glandt Faculty Fellow and Associate Professor in the Department Bioengineering, brings together insights from a variety of fields to understand how the brain’s connections form and change: mathematics, physics, electrical engineering and developmental biology, to name a few. Bassett’s recent work on the learning process also draws from linguistics, educational theory and other domains even further afield. The intersection and interaction of knowledge from multiple sources doesn’t just describe Bassett’s methodology; it’s at the heart of her research itself. At the Society for Industrial and Applied Mathematics’ Annual Meeting last year, Bassett provided an address on how the structure of knowledge networks can influence what our brains can do when it comes to learning new things. Read the full story on Penn Engineering’s Medium blog. Tammy Dorsey, a graduate student at Wichita State University, created a non-invasive in utero tool to help read the oxygen levels of unborn babies as part of her senior design project. Dorsey says the inspiration for the project came from complications during the birth of her middle child, who despite having a normal heart rate throughout the entire pregnancy, was born blue. The device Dorsey created uses measurements of the baby’s pH to read fetal oxygen levels. She hopes that the design will help doctors better detect when a fetus is in distress during pregnancy and childbirth. The field of bioengineering is constantly growing, and new programs are always in development. Boise State University has announced the launch of a new doctoral program in bioengineering that will begin in the fall of 2019. Developed through the collaboration of the university’s College of Health Sciences, College of Engineering, Graduate College, and College of Arts and Sciences, this new opportunity to do research in the field of bioengineering will have three study tracks available in biomechanics, mechanobiology, and human performance. The new biomedical engineering department at the University of Massachusetts Amherst has announced the department’s first faculty appointments. The founding department head will be Professor Tammy L. Haut Donahue, Ph.D., whose research focus is on the biomechanics of the musculoskeletal system. Another professor joining the department’s new faculty is Seth W. Donahue, Ph.D., who has also done research in the field of biomechanics, and specifically how it pertains to tissue regeneration. Since we last posted, there have also been several significant academic appointments in the field of Bioengineering. This week, we would like to congratulate Bruce Tromberg, Ph.D., on his appointment as the director of the National Institute of Biomedical Imaging and Bioengineering (NIBIB). Dr. Tromberg is currently a Professor with appointments in Biomedical Engineering and Surgery at the University of California at Irvine, where he leads research in bioimaging and biophotonics. 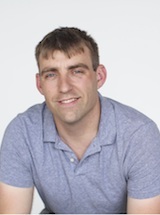 He has also served on the External Advisory Board of NIH P41 Center for Magnetic Resonance and Optical Imaging here at Penn since 2009, and has also given several lectures here on his work in bioimaging. Secondly, we congratulate the University of Toronto’s Professor Warren Chan, Ph.D., who was recently named as a Tier 1 Canada Research Chair in Nanobioengineering. Professor Chan, who is also the director of the Institute of Biomaterials and Biomedical Engineering at the University of Toronto, conducts research in the field of nanotechnology for applications in the treatment and diagnosis of cancer and viral diseases. And finally, we also want to congratulate Frank Pintar, Ph.D., on his appointment as the Founding Chair of the Marquette University and Medical College of Wisconsin. Dr. Pintar’s research in bioengineering involves the study of the biomechanics involved with brain and spinal cord injury, with a focus on motor vehicle crash trauma. Like many other fields, biomedical research is experiencing a data explosion. Some estimates suggest that the amount of data generated from the health sciences is now doubling every eighteen months, and experts expect it to double every seventy-three days by 2020. One challenge that researchers face is how to meaningfully analyze this data tsunami. The challenge of interpreting data occurs at all scales, and a recent collaboration shows how new approaches can allow us to handle the volumes of data emerging at the level of individual cells to infer more about how biology “works” at this level. Wharton Statistics Department researchers Mo Huang and Jingshu Wang (PhD Student and Postdoctoral Researcher, respectively) collaborated with Arjun Raj’s lab in Bioengineering and published their findings in recent issues of Nature Methods and Proceedings of the National Academy of Sciences. One study focused on a de-noising technique called SAVER to provide more precise data from single cell experiments and significantly improves the ability to detect trends in a dataset, similar to how increasing sample size helps improve the ability to determine differences between experimental groups. 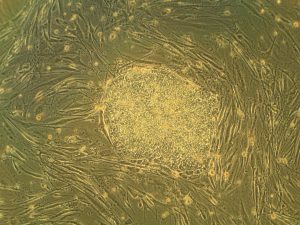 The second method, termed DESCEND, creates more accurate characterization of gene expression that occur in individual cells. Together these two methods will improve data collection for biologists and medical professionals working to diagnose, monitor, and treat diseased cells. This blog features many new biomaterials techniques and substances, and there are several exciting new developments to report this week. First, the journal of Nature Biomedical Engineering published a study announcing a new therapy to treat or even eliminate lung infections, such as those acquired while in hospital or as the result of cystic fibrosis, which are highly common and dangerous. Researchers identified and designed viruses to target and kill the bacteria which causes these infections, but the difficulty of administering them to patients has proven prohibitive. This new therapy, developed by researchers at the Georgia Institute of Technology, is administered as a dry powder directly to the lungs and bypasses many of the delivery problems appearing in past treatments. Further research on the safety of this method is required before clinical trials can begin. A team at Harvard University published another recent study in Nature Biomedical Engineering announcing their creation of a tissue-engineered scale model of the left human heart ventricle. This model is made from degradable fibers that simulate the natural fibers of heart tissue. Lead investigator Professor Kevin Kit Parker, PhD, and his team eventually hope to build specific models culled from patient stem cells to replicate the features of that patient’s heart, complete with the patient’s unique DNA and any heart defects or diseases. This replica would allow researchers and clinicians to study and test various treatments before applying them to a specific patient. Lastly, researchers at the Tufts University School of Engineering published in the Proceedings of the National Academy of Sciences on their creation of flexible magnetic composites that respond to light. This material is capable of macroscale motion and is extremely flexible, allowing its adaptation into a variety of substances such as sponges, film, and hydrogels. Author and graduate student Meg Li explained that this material differs from similar substances in its complexity; for example, in the ability for engineers to dictate specific movements, such as toward or away from the light source. Co-author Fiorenzo Omenetto, PhD, suggests that with further research, these movements could be controlled at even more specific and detailed levels. A recent and growing trend in medicine is the move towards personalized or “on demand” medicine, allowing for treatment customized to specific patients’ needs and situations. One leading method is Cell-Free Protein Synthesis (CFPS), a way of engineering cellular biology without using actual cells. CFPS is used to make substances such as medicine, vaccines, and chemicals in a sustainable and portable way. One instance if the rapid manufacture of insulin to treat diabetic patients. Given that many clinics most in need of such substances are found in remote and under-served locations far away from well-equipped hospitals and urban infrastructure, the ability to safely and quickly create and transport these vital substances to patients is vitally important. 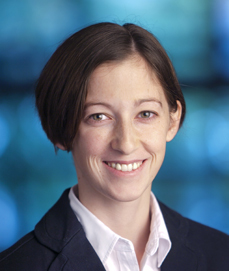 The Institute of Electrical and Electronics Engineers (IEEE) interviewed our own Penn faculty member Danielle Bassett, PhD, the Edwardo D. Glandt Faculty Fellow and Associate Professor in Bioengineering, for their website. Dr. Bassett, who shares a joint appointment with Electrical Systems Engineering (ESE) at Penn, has published groundbreaking research in Network Neuroscience, Complex Systems, and more. In the video interview (below), Dr. Bassett discusses current research trends in neuroscience and their applications in medicine. Finally, a new partnership between Case Western Reserve University and Cleveland Clinic seeks to promote education and research in biomedical engineering in the Cleveland area. Cleveland Clinic Lerner Research Institute‘s Chair of Biomedical Engineering, Geoff Vince, PhD, sees this as an opportunity to capitalize on the renown of both institutions, building on the region’s already stellar reputation in the field of BME. Dozens of researchers from both institutions will have the opportunity to collaborate in a variety of disciplines and projects. In addition to professional academics and medical doctors, the leaders of this new partnership hope to create an atmosphere that can benefit all levels of education, all the way down to high school students. 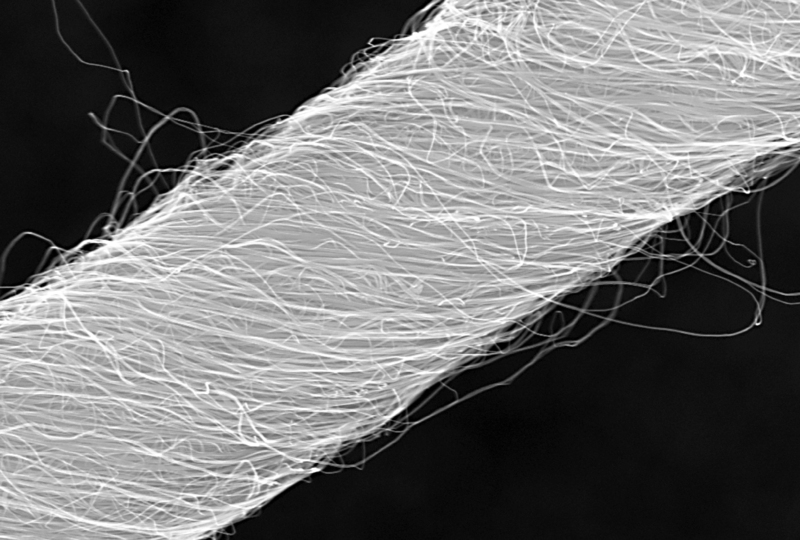 Microscopic image of carbon nanotube yarn. Tapping into the autonomous nervous system – the control center for things like heartbeat and breathing – is a relatively new part of neurostimulation technologies to both record and direct organ function. Implants designed for stimulating peripheral nerves often fail because the protective tissue surrounding nerve bundles (the perineurium) is difficult to penetrate, and the body’s immune response often builds a scar around the implanted device. 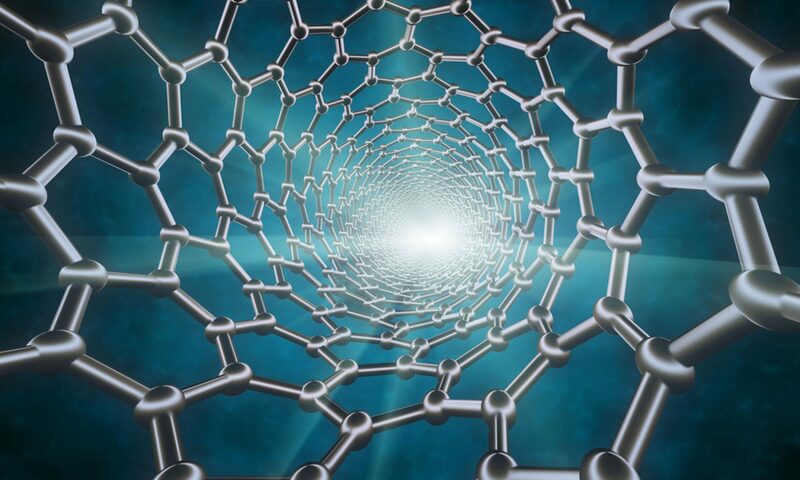 Now, a team of scientists from Case Western Reserve University (CWRUL) has used carbon nanotubes to overcome these obstacles, reporting their findings in Scientific Reports. The authors, led by Dominique M. Durand, Ph.D., Director of the Neural Engineering Center and El Lindseth Professor of Biomedical Engineering, Neurosciences, Physiology and Biophysics at CWRU, fabricated yarn made of carbon nanotubes that was 10 to 20 µm in diameter. The yarn was then used to create electrodes, which were implanted into rats to monitor activity of the glossopharyngeal and vagus nerves. The authors found that they could use the implants to monitor nerve activity under conditions of hypoxia and stomach distention. They report that the success of their experiments likely derives from the similarity of the nanotube yarn to the actual neural tissue surrounding the implant. The implants are a long way from being tried in humans, but the large number of functions controlled by just these two nerves indicates that such implants could find use in an enormous number of diseases. As we discussed last week, the development of gene-based therapies is hindered by the sheer size of the human genome. The immense volume of information involved can quickly become difficult to manage, so one way in which scientists “keep track” of genetic information during the process of introducing new genetic material into an organism is DNA barcoding. This process attaches a small piece of DNA to the gene being studied; if and when the gene causes cells to replicate, these cells will bear the barcode, thus allowing the observer to be certain of the gene identities the whole time. Seeking to determine whether DNA barcoding of lipid nanoparticles for injection into living models would outperform in vitro testing, a team of investigators at Georgia Tech and Emory University conducted a comparison of the two techniques, reporting their findings in Nano Letters. The authors, led by James Dahlman, Ph.D., Assistant Professor of Biomedical Engineering at GT/Emory, found that in vitro testing did not predict in vivo delivery. Further, they were able to track several dozen barcodes delivered by nanoparticles to eight different cell lines. The authors believe that their technique, which they call JOint Rapid DNA Analysis of Nanoparticles (JORDAN), is superior to in vitro screening of nanoparticles to predict successful transplantation. They are offering JORDAN online as open source software so other scientists can use the technology to more accurately screen nanomaterials. Among the many types of molecules that regulate genetic expression in the body are microRNAs, non-coding strands of RNA that are responsible for gene silencing and other forms of gene expression regulation. The ability to harness and control the functions of microRNAs could have important implications for disease prevention and treatment. In a recent article in Systems Biology and Applications, researchers at the University of Texas, Dallas, report on their engineering of a microRNA-based genetic circuit and its deployment in living cells. They created the circuit using strands of RNA from a variety of organisms, including viruses and jellyfish. The authors, led by Leonidas Bleris, Ph.D., Associate Professor of Bioengineering at UT Dallas, used the circuits to better understand how microRNAs change gene expression under different conditions. More importantly, the authors found that their circuit had the ability to outproduce types of gene expression, which decreased as the number of gene replications increased. The authors believe that their discoveries could have applications in a number of genetic disorders. Cigarette smoking is the single greatest contributor to negative health outcomes in the population. Nicotine addiction often appears during the teenage years, and aggressive advertising has been used for the last couple of decades to encourage people to quit smoking and younger people not to start. Despite the widespread use of advertising to change human behavior, remarkably little is known on how the brain responds to advertising messages. 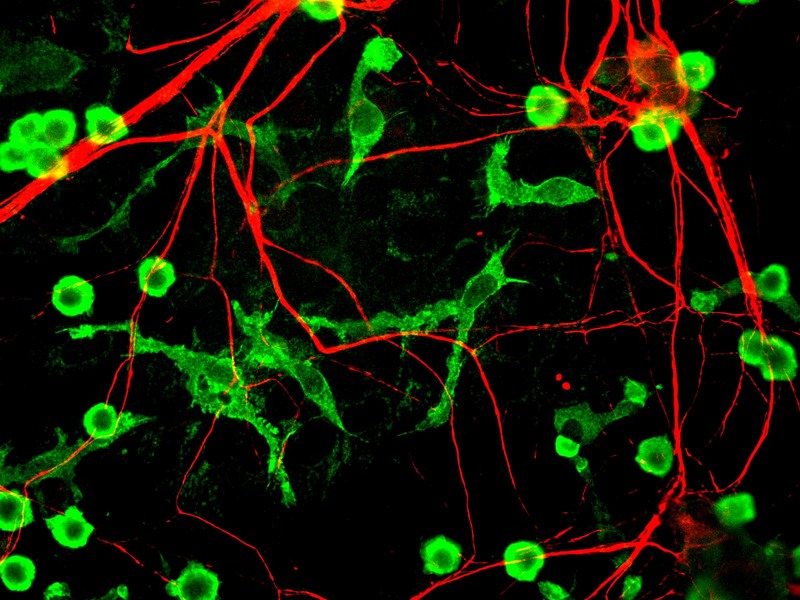 Danielle S. Bassett, Ph.D., Eduardo D. Glandt Faculty Fellow and Associate Professor of Bioengineering at Penn, recently collaborated with faculty from Penn’s Annenberg School of Communication to determine the neuroscience underlying this outcome. The collaborators showed graphic warning labels to a cohort of smokers while they were subjected to functional magnetic resonance imaging, which images brain activity during specific tasks. They found that smokers whose brains showed greater coherence between regions in the valuation network were more likely to quit smoking. Determining why these brain regions acted as they did could yield even more effective smoking-cessation messaging. Engineers at Purdue, including Zhongming Liu, Ph.D., Assistant Professor of Biomedical Engineering and Electrical and Computer Engineering, have cofounded at startup company, called MR-Link, to develop and produce a coin-sized device that can be inserted into MRI machines, allowing them to perform multiple scans simultaneously. The device could be useful in reducing the amount of electromagnetic force to which patients are exposed during an MRI scan. In addition, Dr. Liu and his colleagues believe the device will cost perhaps less than a tenth of what similar devices currently cost. Given the widespread use of MRI, the device could ultimately impact how a number of diseases and disorders are diagnosed and tracked. The sheer complexity of the human brain means that, despite the tremendous advances made in neuroscience, there is still much we don’t know about what goes on inside our heads and how it goes awry in mental disorders. Even with the most advanced techniques, much of what we’ve learned about the brain is descriptive — telling that something is different between health and unhealthy function — but not why that something is different or how we could change it. Among the approaches that have provided important insights into these questions is network science, which seeks to understand the brain as a complex system of multiple interacting components. Now, in a review published recently in Neuron, Danielle Bassett, Ph.D., Eduardo D. Glandt Faculty Fellow and Associate Professor of Bioengineering, and Richard Betzel, Ph.D., a postdoc in Dr. Bassett’s lab, have collaborated with scientists from the University of Heidelberg in Germany. The review covers a broad range of discoveries and innovations, moving from earlier, two-dimensional approaches to understanding the brain, such as graph theory, to newer approaches including multilayer networks, generative network models, and network control theory. The developing human brain contains a cacophony of electrical and chemical signals from which emerge the powerful adult capacities for decision-making, strategizing, and critical thinking. These signals support the trafficking of information across brain regions, in patterns that share many similarities with traffic patterns in railway and airline transportation systems. Yet while air traffic is guided by airport control towers, and railway routes are guided by signal control rooms, it remains a mystery how the information traffic in the brain is guided and how that guidance changes as kids grow. In part, this mystery has been complicated by the fact that, unlike transportation systems, the brain is not hooked up to external controllers. Control must happen internally. The problem becomes even more complicated when we think about the sheer number of routes that must exist in the brain to support the full range of human cognitive capabilities. Thus, the controllers would need to produce a large set of control signals or use different control strategies. Where internal controllers might be, how they produce large variations in routing, and whether those controllers and their function change with age are important open questions. A recent paper published in Nature Communications – a product of collaboration among the Departments of Bioengineering and Electrical & Systems Engineering at the University of Pennsylvania and the Department of Psychiatry of Penn’s Perelman School of Medicine – offers some interesting answers. In their article, Danielle Bassett, Ph.D., Eduardo D. Glandt Faculty Fellow and Associate Professor in the Penn BE Department, Theodore D. Satterthwaite, M.D., Assistant Professor in the Penn Psychiatry Department, postdoctoral fellow Evelyn Tang, and their colleagues suggest that control in the human brain works in a similar way to control in man-made robotic and other mechanical systems. Specifically, controllers exist inside each human brain, each region of the brain can perform multiple types of control, and this control grows as children grow. As part of this study, the authors applied network control theory — an emerging area of systems engineering – to explain how the pattern of connections (or network) between brain areas directly informs the brain’s control functions. For example, hubs of the brain’s information trafficking system (like Grand Central Station in New York City) show quite different capacities for and sensitivities to control than non-hubs (like Newton Station, Kansas). Applying these ideas to a large set of brain imaging data from 882 youths in the Philadelphia area between the ages of 8 and 22 years old, the authors found that the brain’s predicted capacity for control increases over development. Older youths have a greater predicted capacity to push their brains into nearby mental states, as well as into distant mental states, indicating a greater potential for diversity of mental operations than in younger youths. This research informs many possible future directions in scientific research. “Showing that network control properties evolve during adolescence also suggests that abnormalities of this developmental process could be related to cognitive deficits that are present in many neuropsychiatric disorders,” says Satterthwaite. The discovery that the brain optimizes certain network control functions over time could have important implications for better understanding of neuroplasticity, skill acquisition, and developmental psychopathology. Danielle S. Bassett, Eduardo D. Glandt Faculty Fellow and Associate Professor in the University of Pennsylvania’s Department of Bioengineering, is the recipient of the 2017 Lagrange-CRT Foundation Prize. The prize, given by the Institute for Scientific Interchange Foundation in Turin, Italy, was created to encourage and honor researchers working in the field of complex systems. Complex systems feature many interconnected parts whose individual behavior influences the outcomes of the whole. Examples include social media networks, ecological webs, stock markets, and in Bassett’s case, the brain. Her research maps and analyzes the networks of neurons that enable all manners of cognitive abilities, as well as how those networks evolve during development or malfunction in disease. The prize comes with an award of €50,000, or roughly $60,000. It will be formally presented to Bassett at a ceremony in Turin next week. Bassett is the first woman to be the sole recipient of the prize since its inception in 2008. Lada Adamic won it alongside Xavier Gabaix in 2012. Read more at the SEAS blog on Medium. A “wiring diagram of the human brain,” produced using diffusion MRI scans of the brain. Read more at the Penn News Web Site.